Safe & Secure Locksmiths Ltd is a family run business that was established in 1996. Our locksmith has 30 years experience within the ever expanding industry. We specialise in lock related work within both the private and public sector. Our customers include: Schools, Colleges & Universities. Major high street stores, Insurance companies and housing associations. We also carry out work on behalf of landlords and domestic customers. 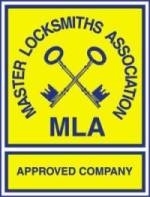 We are a member of The Master Locksmiths Association and are regularly inspected by the MLA to ensure that we maintain a high standard of workmanship and customer service. We are also a CHAS accredited company and are a member of the Federation of Small Businesses and our locksmith is CRB checked. We offer a free local survey & a fast friendly service. For further information or a no obligation quotation please Contact Us.